Cypress is a fantastic tiny house by Mustard Seed Tiny Homes. 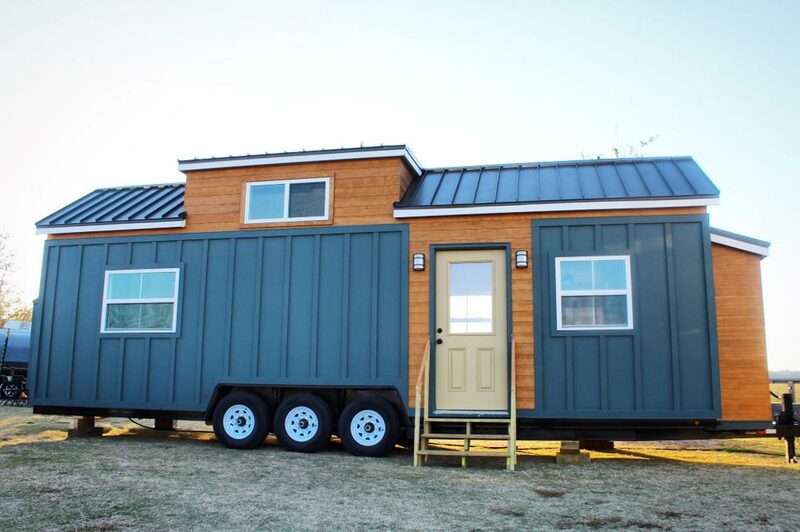 The tiny house features a main floor master bedroom with Murphy bed that converts into a desk to create an office space. The interior includes a U-shaped kitchen with the sink area extended over the tongue of the trailer, allowing for extra countertop space. Green custom cabinets and eight feet of butcher block countertops provide a warm contrast to the white shiplap walls. A guest loft with privacy walls is situated in the middle of the Cypress and is accessed by a ladder/stairs combo. The bathroom has a tile shower with glass door, vessel sink, round mirror, toilet, and washer/dryer area. Also available from Mustard Seed Tiny Homes: Juniper, Sprout, Everest.